Looking for Rockville, MD moving companies that are professional yet inexpensive? Look no more! We make moving and storage easy for homeowners and business owners throughout the Rockville area and beyond. Whether it is for local or long distance moving or to meet your storage needs, our moving pros are fully-trained and ready to provide you a moving experience free of stress. Make us your all-inclusive moving service choice! Give us a call or email us today for more details about our services, prices, and any promotional or cost-saving alternatives. Whether we are assisting a move in Rockville or in Gaithersburg, Germantown, or Frederick, you can count us for efficient, careful, and affordable services. Your move starts when our guys greet you at the door and ends when the entire move is completed at your new destination to your satisfaction. Normally it takes us about one to one-and-one-half hours per fully furnished room. Please note that the time clock is on while our techs drive to your location to start the process and during their return after a job well done. Elevators, stairs, and long walks to and from the truck also add to the final cost. When you contact us, this will all be clearly laid out for you along with the offer of an accurate estimate. As your moving day looms, your stress levels can easily go off the charts. Relax, we can also assist with anything else you might need, such as packing supplies and services. This includes anything from wardrobe boxes to custom-built crates. Wardrobe boxes, which have built-in metal rods for hanging your garments, easily provide access, transport, and protection for your wardrobe items. What we call our “portable closets” are available for rent on the day of your move for a low charge. We also offer a wide variety of packing supplies, from small, medium, and large boxes to tape and pads to custom made containers for items like flat screen televisions, appliances, glass, lighting fixtures, and so much more. We are the best local Rockville movers and our services are unmatched in Maryland. We stand out from other local moving services and storage providers by providing you with Actual Cash Value Liability Coverage for your property with only a $500 deductible for up to $5,000 in protection. And it is all for free! For higher premiums you can get even more protection, should you decide. By allowing us to be your movers and packers, you get full protection and will be secure in the knowledge that you are in our good hands. Call us for more information. Our counselors are available to help ease the stress of a senior’s relocation with full-service packing and moving assistance. We can help in many ways, such as with the decision-making process of what to pack, store or simply let go of, all with gentle compassion and patient understanding. At the senior’s new residence, we are then available to assist with the unpacking and placement of the senior client’s belongings. Let us make your loved one’s move as worry-free as possible. Contact us today to learn more about our Senior Assist offerings. You’ll be so glad that you did. If you are planning a large (or small) move out of the Rockville area, we are here to make it go smoothly. Our pro movers are also expert in packing so you can relax in knowing that caring experts are in charge of your personal belongings and that all items will be safe while being transported to your new location, whether it is across town, the state, or the entire nation. Rely on us for packing, moving and storage no matter where you may start or wherever your destination might be. If you’re planning on being out of the area for an extended period and need a place to store some of your belongings for a while, or if you just want to clear out all that stuff in your back room, we are your solution. We have secure, temperature-controlled storage locations where your items will be safe-guarded until you say otherwise. Need even more space? We’ll gladly set you up in one of the many local storage facilities such as those at 12030 Parklawn Drive, Rockville, MD 20852, 14690 Southlawn Lane, Rockville, MD 20850, or 455 E Gude Drive, Rockville, MD 20850. Whatever you storage needs may be, you can count on us to deliver at a reasonable price. Our Rockville movers will do the hard work for you, including all the loading and unloading of your belongings. Contact us today to learn more about our many storage service options. Let us make your move easy! Whether you live in Glen Hills, in Derwood or any points in between, you can trust us for our professional moving and packing services. Call us today and you’ll see why we are the movers to beat! 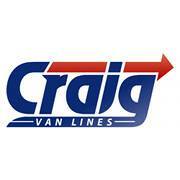 Trust Craig Van Lines to handle your move. Our professional movers provide customer-centric and top-notch moving services for your residential relocation, including homes, townhomes, apartments, and more. We appreciate that you have considered us for your move. We’re a local, family-owned and operated moving company and we’re a proud member of the Better Business Bureau.